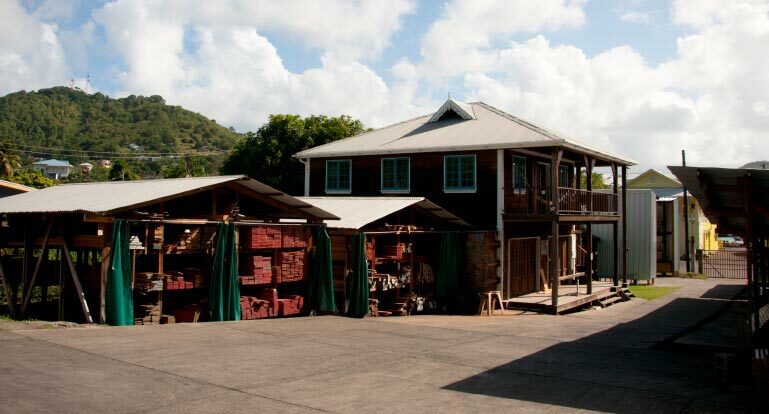 Our lumberyard and store are located on the Caribbean island of Bequia; part of St Vincent & the Grenadines. As a direct importer of tropical hardwoods from Africa, Guyana and Brazil we are specialists in supplying quality tropical hardwoods and hardwood plywoods, throughout the region. Come visit the Caribbean Woods Store where a wide variety of building materials are offered including paints, varnishes, stains, paint sundries, hardware and more for your house. Caribbean Woods offers a wide selection of lumber and keeps a large stock of Southern Yellow Pine as well as Pine Plywoods, in all dimensions. There is also a high quality, onsite woodshop capable of milling our lumber to your required specifications. Our lumber comes specially from select and legally operating mills who provide high quality, sustainably harvested lumber and abide by national laws and international forestry standards. Sustainable, legal forestry, milling and kiln drying of our lumber, in its country of origin, provide local economies with meaningful and valuable employment. Caribbean Woods purchases exclusively from family owned lumber mills with forest concessions who strongly believe it is in their best interest to support sustainable forestry.